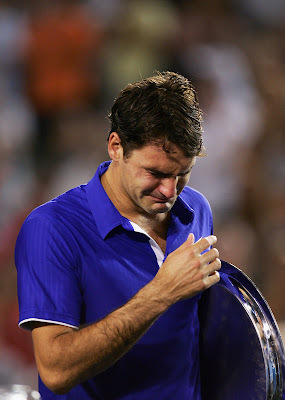 His girlfriend Mirka was crying. 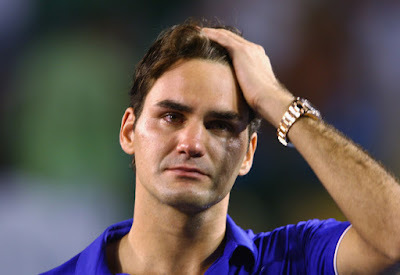 Rafael Nadal was crying. I read that some of the crews at the Australian Open were crying too. 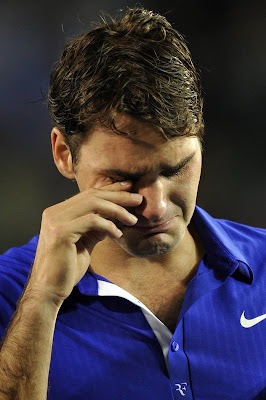 And of course The Mighty Fed's fans can't hold back their tears too seeing their King breaking down in pool of tears. I know how important it is for Roger to equal Pete Sampras’ 14 Grand Slam titles. 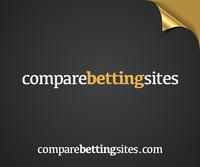 But the truth is, Nadal is also paving his way towards the same direction. At only 22 years old, Nadal has already achieved 6 Grand Slam titles, with the latest win moments ago beating Roger 7-5, 3-6, 7-6 (3), 3-6, 6-2 at Rod Laver Arena. This is Nadal’s third straight win over Federer in a Grand Slam final. He also beat Roger in the French Open and Wimbledon last year. 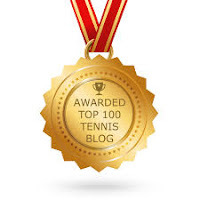 Will Nadal be able to win the French Open, Wimbledon Open and US Open this year too? Well, you and I probably don't see it coming. 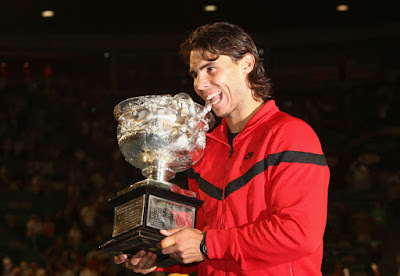 It's because we don't even realised that Nadal has already mastered all the surfaces.